Several dozen volunteers helped us build the Kaboom playground on Beaverland with money received from the late Mrs. Fisher. Neighbors Building Brightmoor is able to do what we do with incredible help from many different people and organizations. Whether financially or through sweat-on-the-ground labor, we appreciate all that our partners have done to help us create a more beautiful and safe neighborhood. Our volunteers have helped with projects such as creating new gardens and parks, boarding up vacant houses, home repairs, vacant lot clean-ups, park clean-ups, trail maintenance, and mural painting. Our financial partners have enabled us to build our Kaboom Playground, purchase a community kitchen space, and hold various youth programs in the neighborhood. Mrs. Marjorie Fisher’s generosity over the years has made many things possible for the NBB Community. In 2011 a beautiful Kaboom playground was build on Beaverland and Chalfonte. 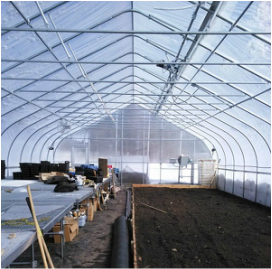 Our farmers received education, support and many resources including a toolbank, equipement high tunnels and a heated greenhouse. 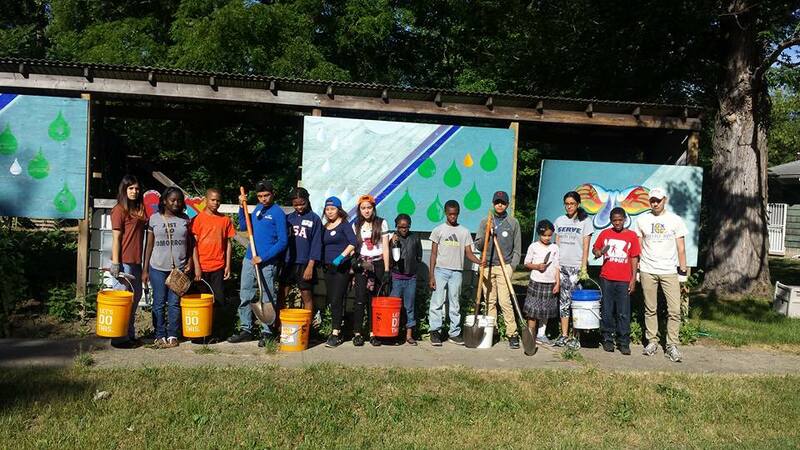 For 5 years now we are able to employ our youth to help in the gardens, with clean ups and kid’s activities because of yearly funding Brightmoor receives from Mrs. Fisher. Her latest gift is enabling us to build a community kitchen and offer much needed cooking lessons and nutritional education for youth and young families. Over the years individuals, small and large group from this UM service organization have built relationships with our youth and worked with our residents on their projects. 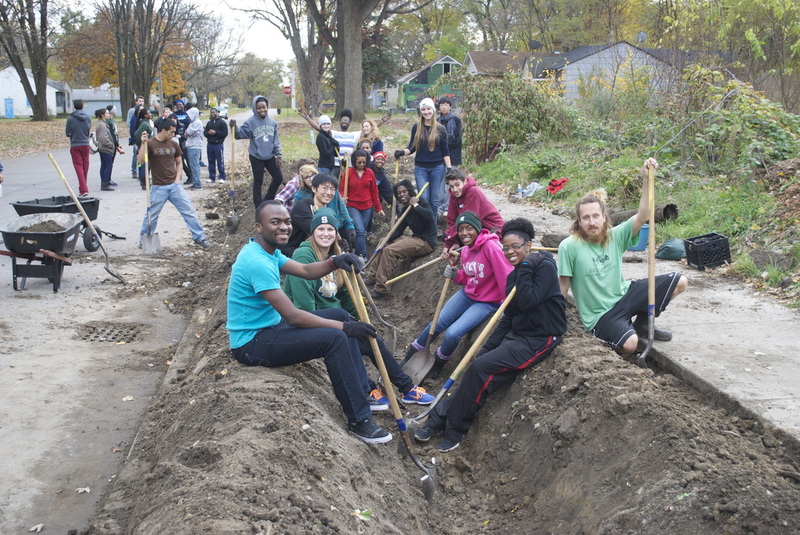 Hundreds of Detroit Partnership students come yearly to help our residents with our spring clean up. 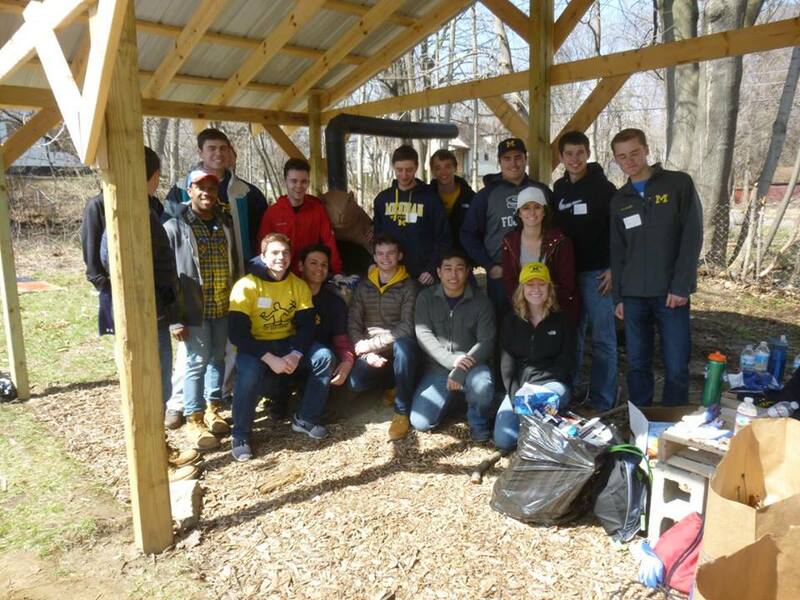 Global Youth for Education and Change at MSU has volunteered for 3 years now and have funded and helped build the picnic shelter and rain catch system at BYG Alpha Garden. Recently the organization enabled us to purchase 10 Chromebooks to use in the neighborhood for youth education. 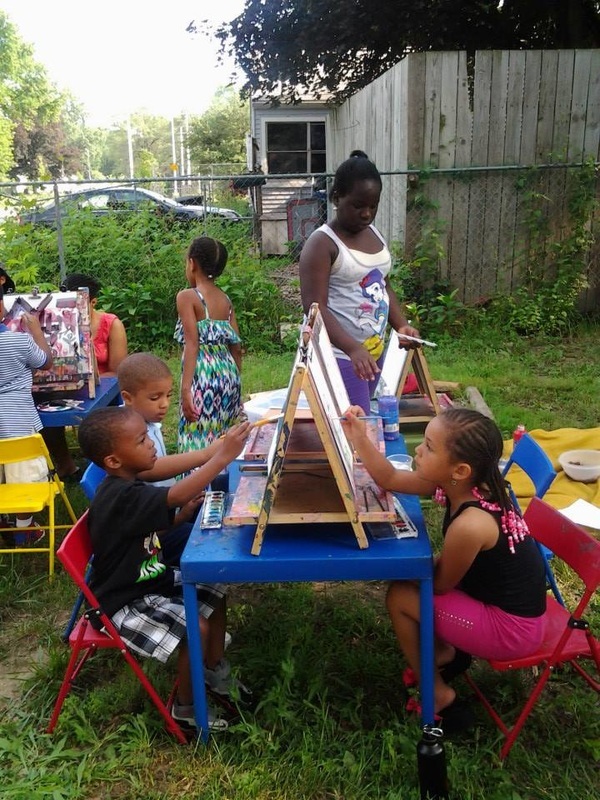 Live Coal Gallery, under the leadership of Yvette Rock, received a grant in 2017 from Community Connections to do art and science education activities with neighborhood youth who are members of Youth Grow Brightmoor (YGB) market garden. 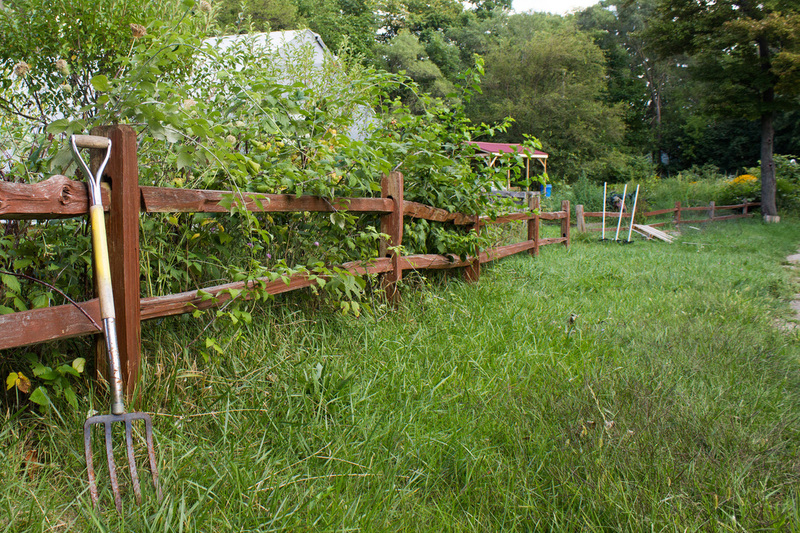 Under the expert guidance of Ashley Atkinson, executive directive of Keep Growing Detroit, and her dedicated staff dozens of gardens, pocket parks, native planting sites and orchards were established since 2008. 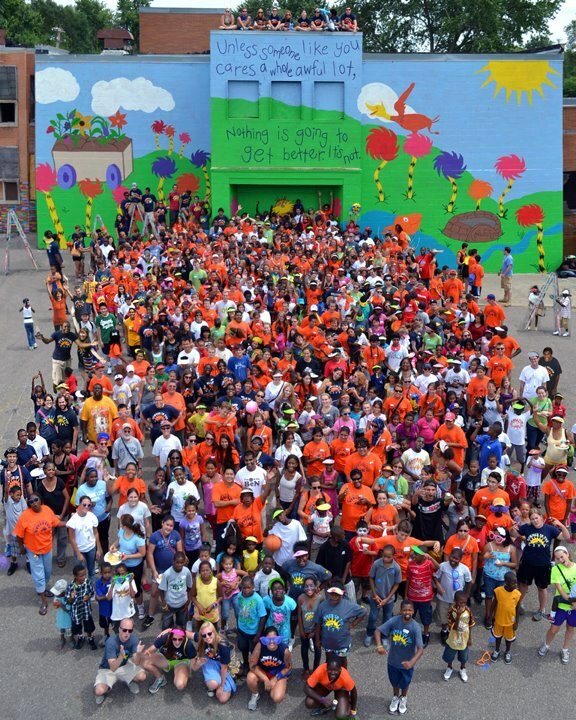 The Garden Resource Program, a program administered by them is a collaboration of 1400 gardens in the city of Detroit. Besides providing a wonderful alternative to blight and building a foundation for food security in Detroit this program has built strong communities and great leaders. Block groups, youth programs and others have used NBB as fiduciary to receive Community Connections Mini- Grants. These grants have enabled programs such as Brightmoor Youth Garden, Kid’s Corner, Lamphere Community Garden and NBB itself to receive resources to help with their events and programming. 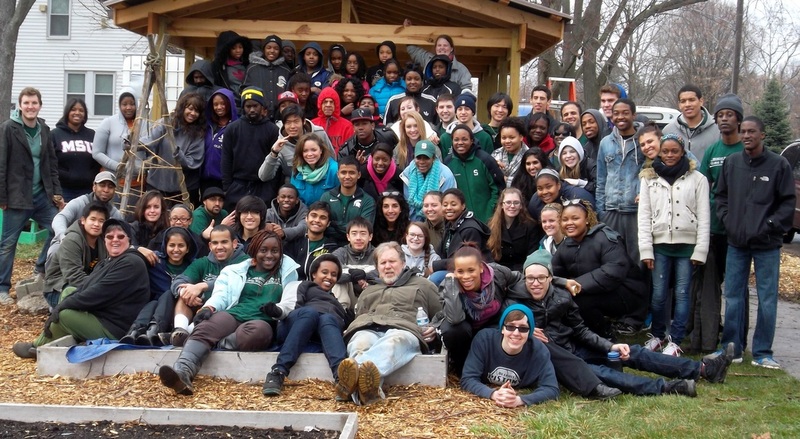 Michigan State's Multi-Racial Unity Living Experience and Intercultural Aide Program have supported NBB since 2012 with local initiatives in community gardens, clean ups, and blight removal. Every third week in June Catholic Heart Work Camp youth work in the neighborhood helping our neighbors with everything from gardening to block clean ups and house board ups. 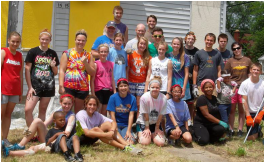 Young Neighbors in Action is a Catholic organization with an emphasis on social justice. They have helped NBB in the past several years with many clean-up projects and gardening projects. 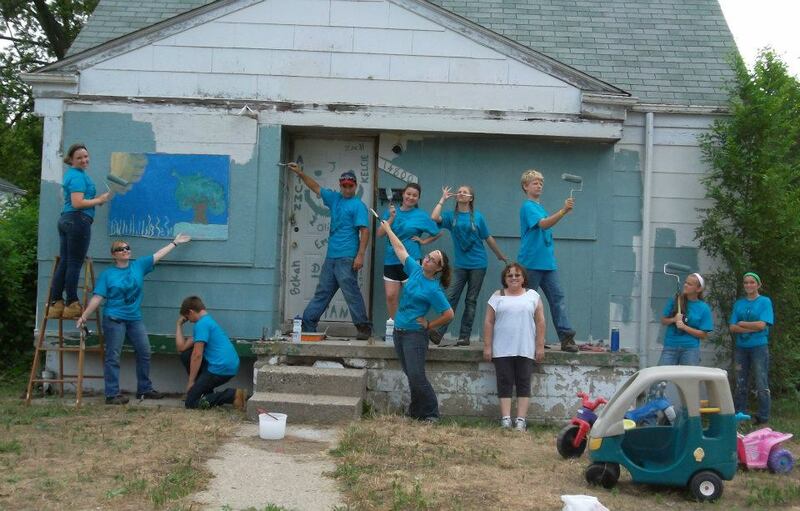 UDM has sent a group of volunteers once weekly during second semester for several years. The students have cleaned out around abandoned houses, garages, completed planting projects around neighborhood, boarded up buildings, among other tasks.